#TBT: The Midnight Ramblers Host CollegeAca's Very First "Aca Live"
Only 5 months ago CollegeAca launched its very first episode of "Aca Live," and what a ride it has been. The Facebook Live series brings aca-fans everywhere the best in live a cappella music from up and coming groups to groups with long and rich histories. Over the last few months CollegeAca has produced 12 different episodes showcasing some serious talent in the college scene. 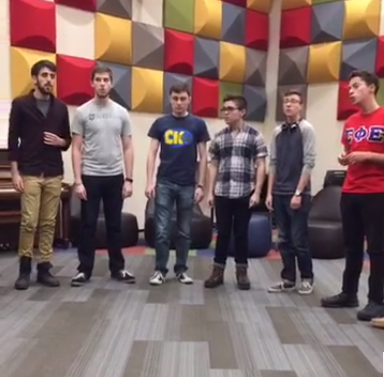 In today's #TBT, we are throwing it back to our very first episode, which featured the all-male group The Midnight Ramblers from the University of Rochester. The episode is easily one of the best sets ever seen in a cappella music as the gentlemen from this iteration of the Midnight Ramblers boast an abundance of great lead singers, as well as display a setlist full of different song styles. Relive the incredible moment in the video below. Be on the lookout for a brand new "Aca Live" episode before month's end.